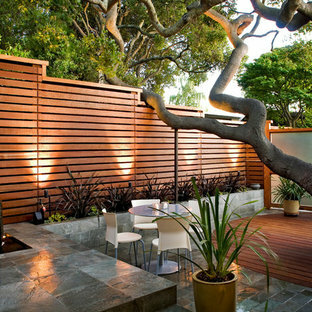 Inspiration for a mid-sized contemporary backyard patio in Milwaukee with a fire feature, a pergola and concrete slab. 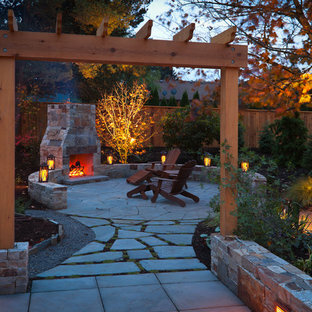 Photo of a traditional patio in Portland with a fire feature and a pergola. By Martin Bros. 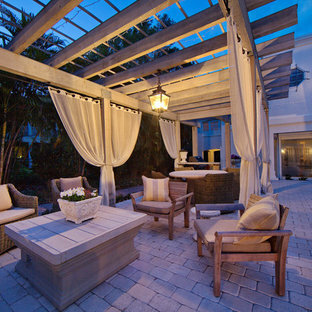 Contracting, Inc.
Inspiration for a contemporary patio in Other. 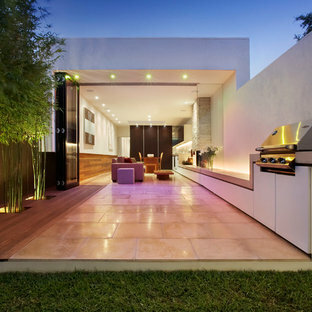 This is an example of a small contemporary backyard patio in Melbourne. 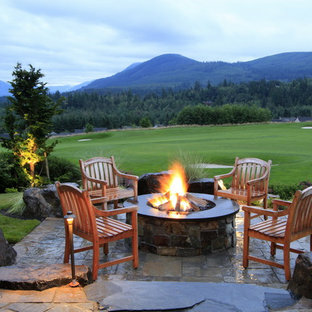 Design ideas for a large contemporary backyard patio in Seattle with a fire feature, natural stone pavers and no cover. 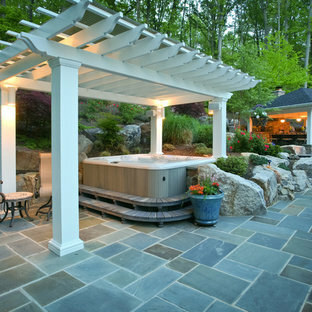 Photo of a large traditional backyard patio in DC Metro with an outdoor kitchen, natural stone pavers and a gazebo/cabana. Design ideas for a transitional backyard patio in DC Metro with an outdoor kitchen and no cover. 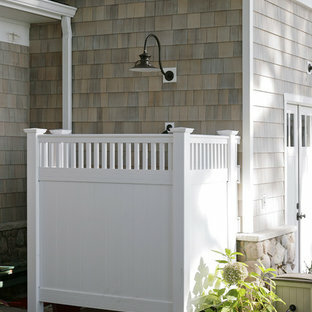 Our PREMIUM SELECT Tumbled French Pattern Walnut Travertine Pavers are light brown in color. Although some variation in color is to be expected, it is overall consistent throughout. Our most popular product. Walnut Travertine French pattern consists of 8×8, 8×16, 16×16, 16×24 sizes. 1.25″ thick. 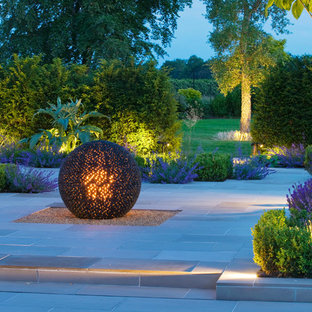 Photo of a tropical patio in London. Traditional patio in Denver with a fire feature, concrete slab and a roof extension. 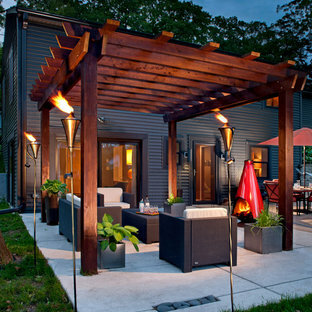 This is an example of a small contemporary backyard patio in New York with no cover and natural stone pavers. Large traditional patio in Denver with an outdoor kitchen and a roof extension. Photo of a transitional backyard patio in Minneapolis with an outdoor kitchen, natural stone pavers and a pergola.